Limo Service Tampa is Tampa's most trusted limousine provider. Our luxury limousine services are locally renowned as the best. Our business is dedicated to customer satisfaction all around. Our vehicles are top-of-the-line with great features that our client's love, our services will make you feel like royalty, and our prices are kept low so you're sure to be completely happy with your experience! Whether you're having a wild bachelor(ette) party or a quiet day of wine tasting with friends, you'll find our vehicles versatile enough to set just the right mood for your event. You'll also find that we know your event is important to you no matter what it is, so we'll always be on time in a great vehicle. We operate 24/7 in order to best serve you. You can reach us at any time to ask questions, request a quote, or book your rental. But of course it's just not our phone lines that are open all day and night, we'll also run our limos and limo buses as late or as early as you'd like! If you're planning a day of wine touring with friends and want to hit the road at 9am, we'll be there. 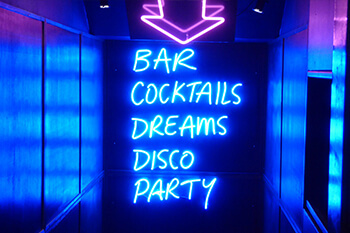 If you're going out for a night bar hopping and want to stay out until 4am, we'll be there. We want you to know that our business and our services go above and beyond to deliver a high quality experience to you no matter what you're after. All types of events, all hours, all destinations, we are there. We're dedicated to providing the greatest vehicles with the most professional drivers in the state. We've put so much time and effort into building our business into the best around, and there's nothing that makes us happier than to introduce this world of luxury transportation to new customers. Having you as a lifelong loyal customer is always our goal. When you are ready to speak to someone on our team about your exciting upcoming event, please don't hesitate to reach out via phone or email! We're here to make your transportation experience as comfortable and convenient as possible. We accomplish this by paying attention to all of the details, so you'll only have to deal with the joys of being transported in Tampa! 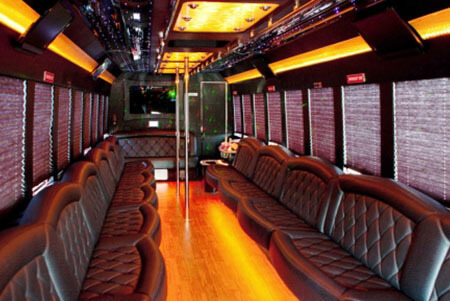 With all there is to do and see around here, a Tampa party bus can surely make your experience one to remember. The next time you're looking for a limousine in Tampa, know that we've got your back! When you call us for the first time, you'll speak with one of our in-office representatives who is trained to be an expert at choosing the ideal vehicle for you, helping plan your itinerary based on what kind of event you are throwing, and of course guiding you through the booking process which is simple and quick. You'll be invited to come down to our place of business to choose your own vehicle if you wish, but if you're short on time, you can view our featured vehicles right here on the site and either choose from that or leave it up to our rep. They'll never steer you wrong! When it comes to the day of your event, you will be picked up at the destination of your choice, whether that's your home, your business, or a mutual meeting place where all your passengers have gathered. Of course, we can also pick them up at their homes or businesses, which one of the major perks of renting a limousine. No fussing with the details is necessary in order to get everyone in one place. We can head out to all your pre-determined destinations if you so choose or we can take a more spontaneous approach and choose places to visit as we go! Your chauffeur will be very flexible with that, so your style of travel is all up to you. Many passengers love for their first stop to be at a store to stock our built-in bars for the trip! We always stock them with ice and cups so all you've got to do is choose what kind of beverages you're in the mood for. 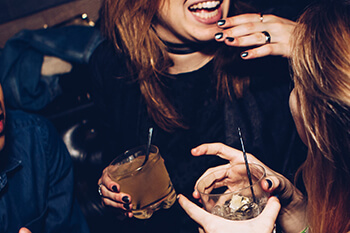 Alcoholic beverages are absolutely legal on board as long as everyone in your party is 21+, so cocktails, beer, wine, etc., are just fine! Alternatively, you may want to stock the bar with bottles of iced coffee, iced tea, soda, sports drinks, or water. Play bartender or just serve healthy refreshments! It's completely up to you. When your trip is over, all that's expected is that you return the vehicle in the same condition it was given to you in. We only rent sparkling clean, smoke-free buses to our customers and we know that you appreciate that. There won't be any nasty surprises on your bill and we know you'll be very happy with our rates! You can call us to provide the transportation for any event or outing you have planned. 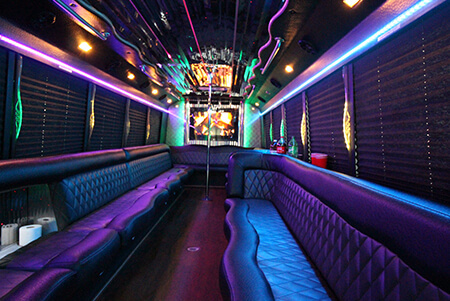 Your wedding day, hitting the town with friends, going to a concert/festival like the Sunset Music Festival, a sporting event like a Tampa Bay Lighting game, or getting ready to hit up the Tampa Bay Margarita Festival - we can take you to and from it all! 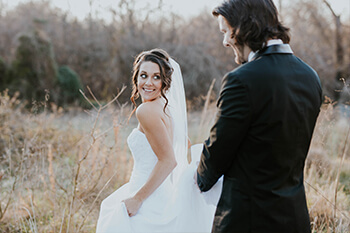 We will turn your wedding into the day you've been dreaming of. 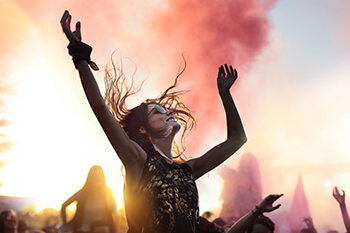 Experience your next concert like a rock star, not a bystander. Bar hop with the best designated drivers in all of Tampa! Celebrate Tampa with a wild ride in one of our vehicles. Our fleet of vehicles are made with your comfort in mind. There's no reason to look at the competitors fleet when our diverse selections are readily available! Whether you're looking for a sedan, SUV, limousine or limousine, Limo Service Tampa is here to help you. Each vehicle is unique and beautiful and has the best technological features for you enjoyment. You'll find plush leather seating, colorful lighting, TVs, DVD players, great audio, and more! Call us at any time to get a quote on any of these vehicles! Ready for a great transportation experience? We're great at making sure our clients are well taken care of. Call now to get your reservation set in stone!